Adobe Premiere Pro is the video processing program of choice for professionals, especially those who like to experiment. This program is widely used by Film / Sinetron, Broadcasting, and Television companies. One of them is BBC and The Tonight Show. Also often used for films, such as Dust to Glory, Captain Abu Raed, and Superman Returns. For other places like Confessions Tour by Madonna. Adobe Premiere Pro has around 45 video effects and 12 audio effects, which can change the display pattern and animate video and audio clips. Some effects require a high-quality graphics card. But of the 45 effects, only 3 effects require high-class graphics cards (eg AMD or NVIDIA) to be applied to video clips. You can also add effects from third parties that support Adobe Premiere Pro. Besides that, Adobe Premiere Pro also has about 30 types of transitions (switching between clips) so that switching between one video clip to the next video clip is more dynamic. Just like effects, some transitions also require high-quality graphics cards like AMD or NVIDIA. There are 5 transitions that require an AMD or NVIDIA graphics card to be applied. 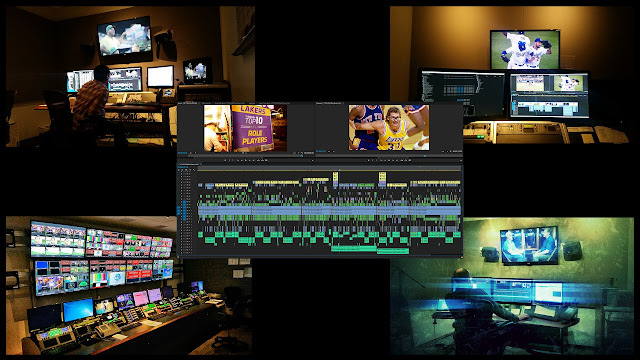 Adobe Premiere Pro has important features, including Capture (video recorder) Monitor, Monitor trim, and Titler (Title text maker) Monitor. In the effects of Adobe Premiere Pro there are keyframes like those found in Adobe After Effects (how to animate them is almost the same). In Titler, you can make the title text and change the properties of the text such as changing letters, giving and changing colors, giving contours, outlines, making animated animations or roll and / or crawl text, You can also give shapes / flat shapes so that the appearance of the title / text of the video looks more attractive. The last stage is export / output / save the project in the form of videos and distributed to various media that can display video formats. Premiere Pro is a redesigned successor to Adobe Premiere, and was launched in 2003. Premiere Pro was released in 2003, while Premiere refers to the previous release. Premiere is one of the first computer-based NLEs (non-linear editing system), with the first release on Mac in 1991. 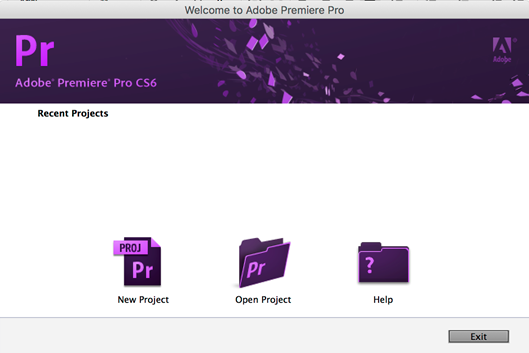 Until the Premiere Pro 2.0 (CS2) version, software packaging featured galloping horses, by Eadweard Muybridge, “Sallie Gardner at a Gallop “. Premiere Pro supports high-resolution video editing with up to 10,240 × 8192 resolutions, up to 32-bits per color channel, both RGB and YUV. Editing sample-level audio, VST audio plug-in supports, and 5.1 surround sound mixing available. Premiere Pro’s architectural plug-in allows for import and export of external formats supported by QuickTime or DirectShow, supports various video and audio file formats and codecs on both MacOS and Windows. When used with the Neo Cineform line for plug-ins, it supports 3D editing with the ability to view 3D material using a 2D monitor, while making adjustments to each left and right eye. Through Adobe Dynamic Link, compositions from Adobe After Effects can be imported and played back directly at Premiere Pro. The After Effects composition can be modified, and after switching back to Premiere Pro, the clip will update with changes. Likewise, Premiere Pro projects can be imported into After Effects. Clips can be copied between two applications while preserving the clip attribute. Premiere Pro also supports a lot of After Effects plug-ins. Adobe Photoshop files can be opened directly from Premiere Pro which will be edited in Photoshop. Each change will be updated as soon as Photoshop files are saved and focus back to Premiere Pro. 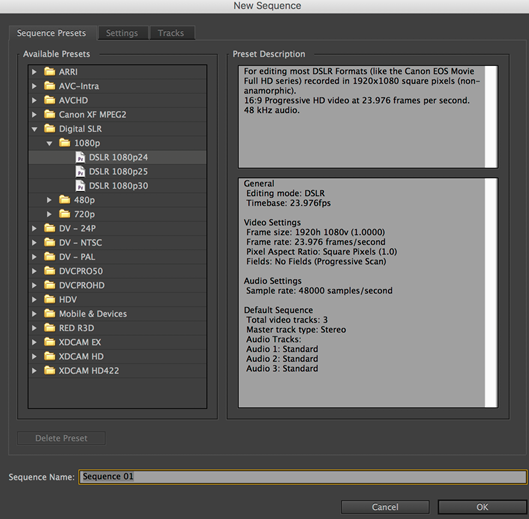 Premiere Pro workflow takes advantage of the metadata in the video production script. This script is created in or taken to Adobe Story, then forwarded to Adobe OnLocation to capture recordings and attach relevant metadata from the script for the recording. Finally, in Premiere Pro, voice recognition can match audio to dialogs from scripts in metadata. Clips can be searched based on their dialog in Premiere Pro, and can be sent to Adobe Encore DVD to make the web searchable. Adobe Prelude replaces OnLocation in CS6 and above. There are other integration functions, such as Edit in Adobe Audition, Dynamic Link to Encore, and express in Adobe Bridge. The entry-level version, Adobe Premiere Elements is intended for home users available on Microsoft Windows and Mac OS X. 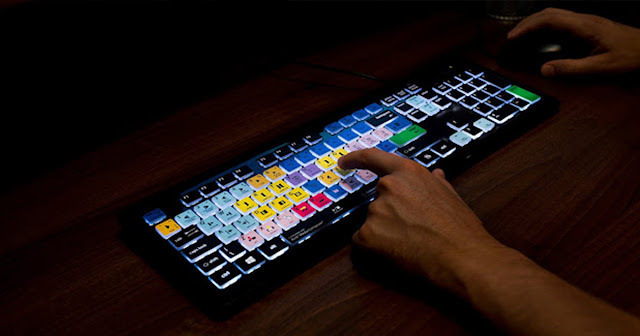 With Premiere Pro aimed at the professional market, having advantages over Premiere Elements including multiple sequence support, high depth of rendering, multicamera editing, remapping time , scope, color correction tool, advanced audio mixer interface, and bezier keyframing. Premiere Pro also has Encore, for more complicated DVD and Blu-ray Disc authoring options, and OnLocation for direct-to-disk recording. Encore was stopped by releasing Adobe Creative Cloud. HitFilm 4 Express: Make Your Own Film – Start making your own big movie with the HitFilm 4 Express app. Applications that began to exist since 2011 and until now have developed well from previous years. Where the application with the free version of HitFilm 4 is already in the Pro level that surprises users with various features similar to expensive software. What kind of application is HitFilm 4 Exprees? The best video editing application for PC, you can also find in the HitFilm 4 Express application software that has a lot in common with Sony Vegas. In addition, you can get it for free, the features contained in this application are classified in premium features that will make your videos more attractive and also very real time. With this application you can also find various panels or features that have been offered to do video editing. Like the media panel, trimmer panel, timeline panel, and a collection of various effects and layer management that you can use to your heart’s content. Free or there are no subscription fees imposed when using this application. Software with unlimited visual effects, meaning you can use it whenever and wherever you are. It has editing features and 3D composting, allowing you to make films with amazing 3D compositions. 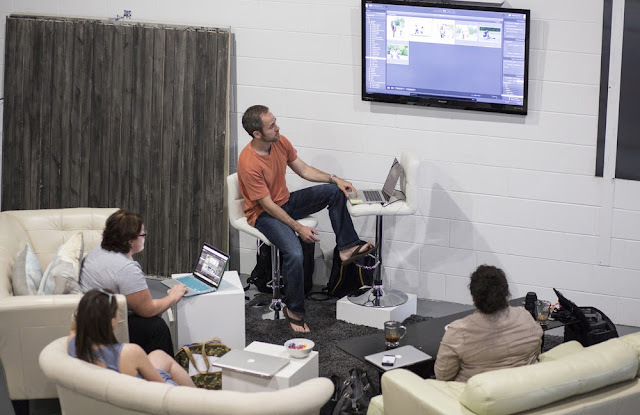 There are several tracking, proxy and other options that can develop your creativity in terms of video editing. This basic motion design and certification makes it easy for users, both beginner users and users at the professional level. 140+ built in 2D and 3D effects are available, including in removing green screen and color grading. You can also expand the effect for your videos in all areas, because a complete package of effects is available. Many free tutorials that can be used as reference material for editing your videos. This application is also available on PC and Mac. As we’ve already discussed in the Best Free Video Editor article for YouTube, that DaVinci Resolve 14 is the best free software you can get for YouTube editing purposes or for beginner and professional filmmaker editing purposes. But what exactly is DaVinci Resolve? What are the advantages? What are the drawbacks? 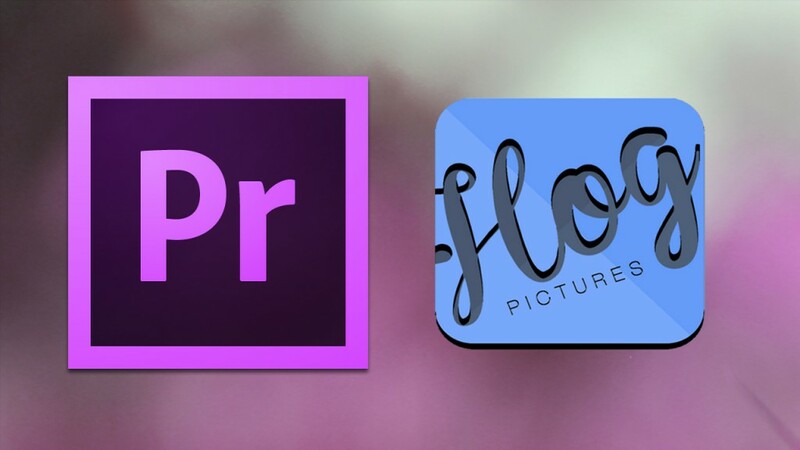 Why don’t we use more famous software like Adobe Premiere Pro? From the name we can guess that DaVinci Resolve is taken from the name of the genius: Leonardo da Vinci. It makes sense indeed, a software that deals with art is taken from the name of an art master. DaVinci Resolve was originally a software made by a company from the United States named da Vinci Systems in 2004. At that time the name was da Vinci Resolve (with the initial letter d small and without spaces). da Vinci Systems itself is a company engaged in the film industry. They are famous for ‘film people’ products such as: color corrector, color grading, digital mastering system and film restoration. Now, for the color corrector business, da Vinci Systems has two solutions. These are hardware-based solutions (da Vinci Renaissance 888, da Vinci 2K and da Vinci 2K Plus) and software-based solutions, namely da Vinci Resolve! After 25 years (oh yes, da Vinci Systems was founded in 1984), in 2009, da Vinci Systems was acquired by another film company. Namely Blackmagic Design. A company founded in 2001 and based in Australia. Since that acquisition DaVinci Resolve software has evolved into the software we know today. Why do I call it evolve? As I mentioned, da Vinci Systems is a film company. The hardware and software used by the industry is not hardware / software that can be purchased and used by the general public. Because the price is expensive and requires special expertise to operate it. I did not find out what the price of da Vinci Resolve software was during the initial release, from the information I got this software needed $ 500,000 (Rp6,770,750,000) of hardware to run! Compare with now. You can download DaVinci Resolve for free and run it on a computer with not too high specifications. An evolution that can change the film industry in the future! Adobe Premiere Pro is no doubt a non-linear video editing software that is popular and widely used by filmmakers out there. Many YouTube users use Adobe Premiere Pro. Because you can easily find tutorials on Adobe Premiere Pro and learn to use the software, and there is a lot of discussion and help that you can rely on when experiencing problems using Adobe Premiere Pro. I myself am also an Adobe Premiere Pro user. Or arguably the former Adobe Premiere Pro user. Because honestly, I have been using pirated Adobe Premiere Pro. While using Adobe Premiere Pro, there is always a sense of guilt in me every time I open Adobe Premiere Pro on my computer. Because I myself am a graduate of Information Systems whose work relates to software. I know how hard it is to build a software and what it feels like as a result of our hard work doesn’t work. From that guilt, I tried to find an alternative video editing software that could replace Adobe Premiere Pro. That’s when I discovered DaVinci Resolve 14. From my experience, I can confirm that DaVinci Resolve is a serious challenger to Adobe Premiere Pro. Not only because this software is free, but the performance of the software itself exceeds Adobe Premiere Pro. Even though I currently use limited hardware, I can confirm that DaVinci Resolve is faster than Adobe Premiere Pro. In addition, the ease of use. It only took me a few hours to get started using DaVinci Resolve and edit videos as soon as I edited using Adobe Premiere Pro. Even faster! I cannot explain further how DaVinci Resolve 14 can be a serious challenger to Adobe Premiere Pro. But certainly, you will prove it yourself from the tutorial using DaVinci Resolve 14 on this blog. From my experience of approximately 15 days using DaVinci Resolve 14, I was able to find some of the advantages of DaVinci Resolve 14 compared to other software. Multi-platform. You can install DaVinci Resolve 14 on Windows, macOS X and Linux! Rendering fast! Much faster than Adobe Premiere Pro! Easy to use! 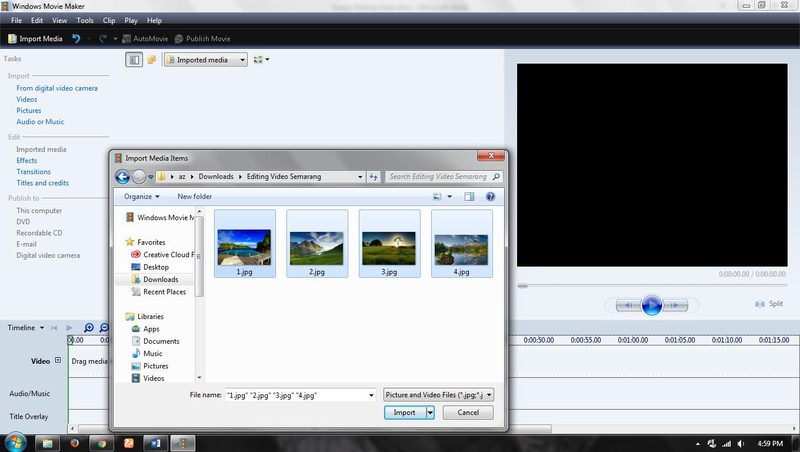 It’s as easy as using Windows Movie Maker! The function of the software is well organized. Not messy. Free! You can use DaVinci Resolve 14 free of charge! Bug. Because DaVinci Resolve 14 is classified as new software, bugs are natural. Rigid navigation. Maybe because I’m not used to it, I often accidentally delete something I don’t want to delete and accidentally overwrite something I don’t want to overwrite. Be careful and careful before rendering. Before doing the rendering process, you will be faced with several choices that must be carefully chosen. I once spent 2 hours rendering, but the result was no sound because I forgot to choose the audio channel that would be rendered. I hope this article can give you a little description of what DaVinci Resolve really is. I must admit that this article does not contain much information because it is rather difficult to find information about DaVinci Resolve on the internet. Whereas I have only used this software for approximately 15 days. It still takes time for me to master this software and share it with you through this blog. Posted byadmin December 27, 2018 Posted inUncategorizedLeave a comment on What Is DaVinci Resolve? VSDC has been around for 6 years and is recognized as deserving of its reputation as an all-in-one video maker software because of its great features. The main advantage is full format compatibility and does not limit export options, unlike other editing software. So VSDC can read all video formats and allows you to save to any format. You can even export the project in the H.265 codec format for better compression quality. Although the design of the website is old-fashioned, the VSDC update is the latest video editing trend. Among its features, you will also find lots of visual effects, masking tools, Chroma Key and blending modes. As YouTubers, you will also be satisfied using a built-in screen capture and lots of ways to use text and subtitles. Advantages: VSDC has many good features and supports full format. The free version also has no restrictions. Disadvantages: software interfaces are lacking for people who move from linear programs such as Movie Maker. It will take time and effort before you can use this video editing. Lightworks is one of the best video editors to get awards. This application turned out to have existed and was used by professionals in the film industry since the early 1990s. The pro version of Lightworks has been used by professionals to create great films such as Pulp Fiction, Heat, Hugo, The King’s Speech, and others. So the ability is undoubted. Although it has been widely used professionally but we cannot learn it just overnight, we need to try constantly until we can master it well. This application can be downloaded at www.lwks.com. After downloading and installing it, we can immediately open this application. When opened, a blue display appears that dominates the screen. If we are disturbed by overfilling the screen then click on “System Settings” at the bottom left corner of the screen and set “Fullscreen wondow” to “No”. From the System Settings menu, we can customize some aspects of the display between faces. This is in accordance with our wishes for example if you want the color of the window to change from blue to black or another. 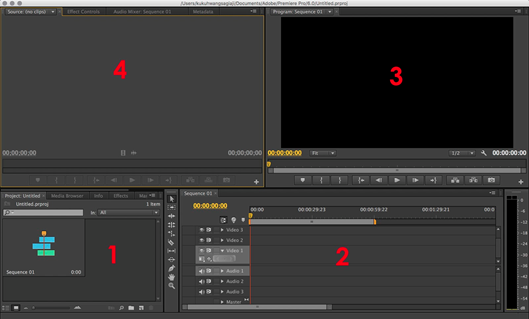 Before we start, Lightworks needs to know the name and frame rate of the video project to be edited. The frame rate is also referred to as frames per second or abbreviated as fps. It is very important to know how many fps of our video is because the Lightworks application will not be able to record the frame rate. Fps itself is the speed of continuous display of video images. Video can be said as a collection of images that are played quickly so that the image appears to move. Most home videos have speeds of 30-60fps and we may only see 24 fps when making a movie. If we don’t know what frame rate the video has, we can choose “auto” or open the video source on VLC then click on Tools> Codec Information. Here we will see a fairly long frame rate like 29.970030. After that we go back to Lightworks. Create a new project by clicking the “Create” button. Then we see the settings of the project by clicking on the project name in the upper left corner of the application. 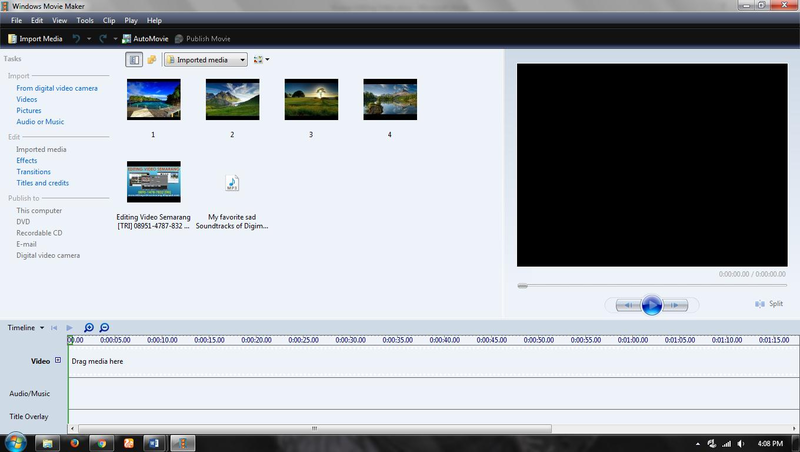 There we will see the basic details of the video project to be edited including the location where the file is stored. Meanwhile we don’t have to modify the project file on Lightworks. The location of the folder can only be modified using Lightworks Pro License. On the video tab make sure that the output format matches the material source. At the bottom there is a tab “Tasks” which is used to monitor and turn off background processes such as importing, exporting, and rendering. Next to the project name in the upper left corner there is a “rooms” menu. We can use it as “scenes” from a movie or “episode” from a series or we can choose a particular layout when audio mixing, color correction or editing. We must prepare a “room” for each task. Each “room” will store the position of each open window and tool. Create New Edit: open a new monitor destination with an addition. Browse Project Contents: A browser where all imported media is found and organized in a folder known as “bins”. Search: a search tool that comes from the old Lightworks feature, in fact this tool directly opens the browser contents project. Play An Edit Out To Tape: this is used to export the edited video back to tape recording. Export Edits, Clips, and Bins: Not only used to export edited videos but also backup output of our video projects. Preference Editor: here we can save and restore the layout / position of the open tool. While this will not keep everything open this is useful for tidying up our work area. It is recommended to leave off and focus on learning keyboard commands. Lucy: Lucy is the mascot of Lightworks. For example cutting parts that are not cooled using a mouse. If it appears white then left click on the mouse. A cut in yellow will appear indicating that the clip is separate from the cut. Change to Trimview mode to display clip pieces on both sides. We need to press the preview button below the Viewer and start playing both videos. If you want to exit Trim View then close, press the close button. After the editing process is complete, right-click on the edited video then select Export. Choose form export, there are options for camera formats, media files, interchange, backup, targets, and so on. After that the city dialog will appear for the export option with the choice of format type. Complete all settings then click on the start button. The latest Lightworks version 14.0 currently comes with new features with a more organized look. 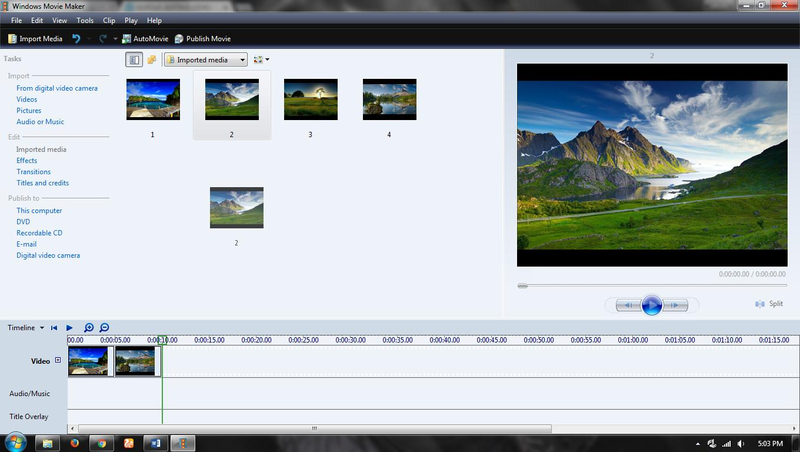 This new look will certainly help novice users learn video editing through Lightworks. According to the Editshare company that developed this application, in the latest version there will be around 400 changes including more than 70 new features. If you want to use this application you should use a modern PC with the specifications of the Intel i7 CPU, 3GB RAM with two high resolution displays. Editing videos on Lightworks is indeed not easy. So for beginners there is no need to despair if at first it cannot operate properly. With the latest version, it is ensured that the operation will be simplified. Continue testing to get the correct editing process so that the results are also satisfying. In addition to Ligthworks which is indeed recognized by film-makers, there are actually many other applications, one of which is Wondershare Filmora. This application is quite simple but still has reliable features for video editing needs. One of the advantages, namely the existence of video effects packages on the Filmora Effects Store that can make our videos more attractive. Video editing using Corel Video Studio is a Professional Video Editing Material that I provide because this software has features that are very complete but in its use it is easier to understand than other video editing software. To do video editing using Corel Video Studio Pro X6, I introduce the main menu that is often used for video editing using Corel Video Studio. Usually used to record directly the process of recording both video and audio. Like Video Editing in general, first import the data that will be used. Enter the Data File you want to display on the Project Video to be created, such as Image Video etc. After you are finished with the Video Editing process, now you just have to save it on the computer by clicking the Share menu> Create Video File> Select Video quality as you want> Name it and save it to the computer directory as you want. 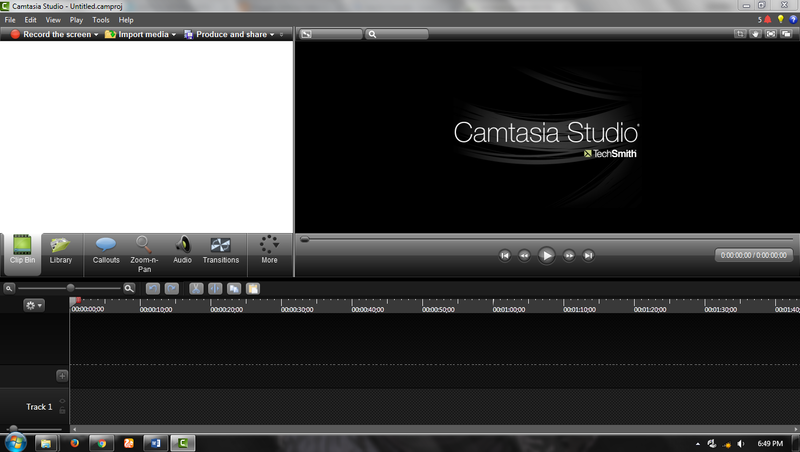 TechSmith Camtasia Studio 8 is a Simple Editing software that has a pretty good and varied Video Editing Feature. 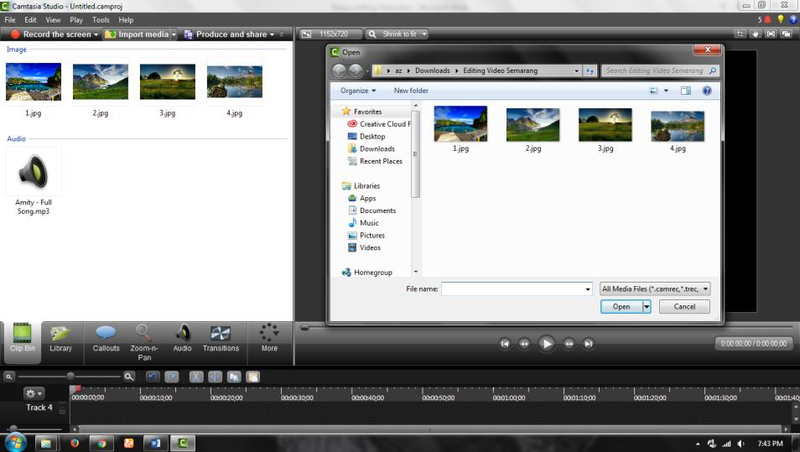 Video editing using Camtasia I made middle class video editing material because of its features that are quite complete and easy to understand. 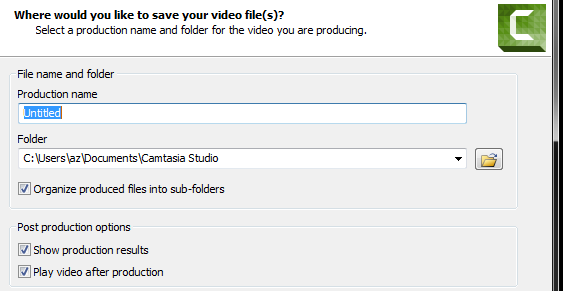 Before starting Video Editing using Camtasia you can learn some basic menus that are important in Camtasia Video Editing Software. If you have entered the video image and the others into the Project Video Timeline, you just have to arrange and sort as you wish. You can also effect the video according to the effects provided by the facility. 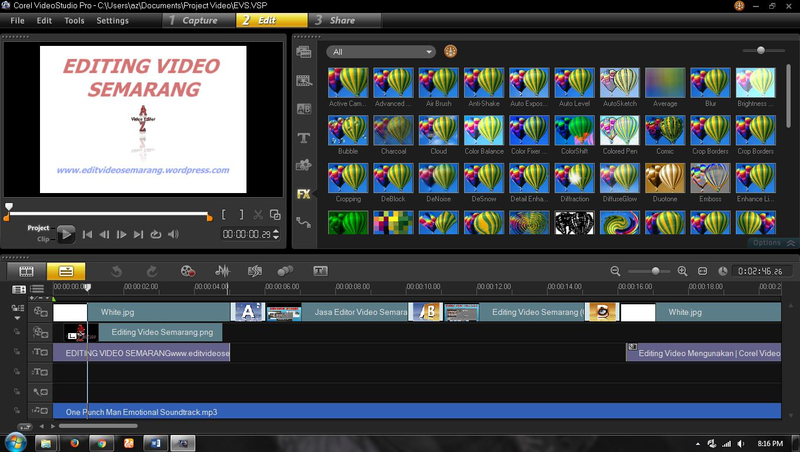 Video editing software used. Click Next, name the video and select the video output location on your computer according to the dreams. Wait until the Video building process is complete. If you want to add Transitions to Pictures and Videos when cutting cut scenes select the Transitions menu found on the Task Edit left of the screen> Select the desired Transitions, then Drag to the Videos you want to transitions. If you are finished with Project Video Editing now you can save the results of the Video that you have made to your computer by selecting the Publish to This Computer menu and then changing it according to the Video Title you want. You can also arrange to save it to the Directory as you see fit. If you have selected Next. You can choose the quality of the Video Output yourself according to your wishes. If you have selected Publish. 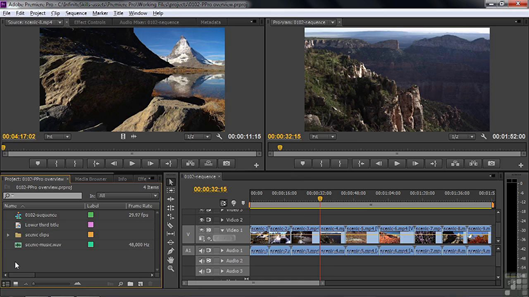 Adobe Premiere Pro is a video editing application available for OS, Windows and Linux users. If you want to start a career as a video editor or maybe a Vlogger that requires the ability to edit videos then you need to consider using this application for everyday work. For those of you who are just learning, we provide a simple tutorial to use Adobe Premiere Pro along with the features provided in full. Read the full article below! Before you learn to use Adobe Premiere, it would be nice to know in advance the user interface, features and terms used in this application. See the picture above and the following is an explanation based on the number that is drawn. Project: Is a column containing video or sound. You can move files from a computer by sliding them into this column. Automatic files will be available and ready to be edited. In this column you can also edit the movement or transition between videos and edit sounds. Sequence: Is a column for editing. You only need to shift the indented file edited in the project column. You can overtake up to 3 videos and 3 audio at a time. In this column you can cut and merge files. Program: This is a real time preview of the video you are editing. When you play the video being edited it will appear in this column. Source: Filled with info about the video or sound that you are using. In this column you can also edit the sound or color tone in more detail. After you know the look and features that exist in Adobe Premiere. Here are ways you can follow to edit videos and important things that you must do before the editing process. To start video editing you must first determine the output or what type of video you want to produce. First, open Adobe Premiere Pro CS 6 then click ‘Create New Project’. Then a new pop up window appears and is used to give the file name and choose the storage location. Then pop up a new window appears containing the type of video you will produce. You can choose a variety of types, for example specifically for uploading on Youtube, there will be various special formats for Youtube. Most standard we recommend choosing ‘1080p DSLR’ if you are recording using a DSLR. With this resolution you can produce good videos. Name the sequence. Finally, click ‘OK’. The next step you need to move the video and audio files in the Project panel by sliding the file from the computer to the column. After all the files in the panel, you can now make the editing process. Previously, we strongly recommended that you provide a number or a sign of the video and audio arrangement. This really helps you in the editing process. Therefore make storyboards or story outlines first. Right-click on the file in ‘Sequence’ and then have ‘Unlink’. Automatic video and audio files will separate and you can delete by clicking audio 1 and press ‘delete’ on the keyboard. In this square, you can cut scene by scene. It’s easy to click ‘C’ on the keyboard and then press enter on the keyboard in the scene you want to cut. Delete the part you don’t want to use. Do this continuously and then unite scene after scene. This also applies to audio files. Make sure you play the preview continuously to avoid any video or audio that has not entered or is not synchronized with each other. If you have edited the video and become a whole story. Then it’s time to do the rendering process. Unlike the photo editing file that only lives as ‘Save As’, to produce a long video, a unification process is needed known as rendering. This process takes a long time depending on the duration and quality of the content you want to produce. The more complicated the editing process undoubtedly the rendering process will be for hours. Make sure your computer or laptop is adequate! To render click ‘File’ located in the top left corner. Next select ‘Export’ and ‘Media’. A pop up setting window will appear. 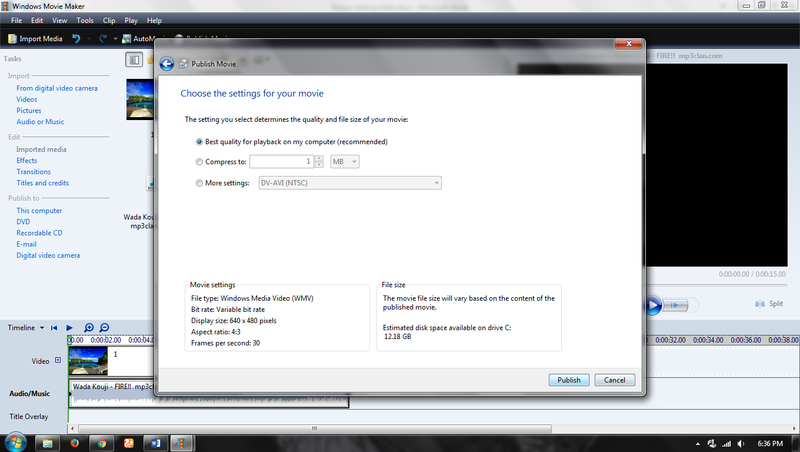 You will be asked to set the video format (.mp4, .avi, .3gp, etc.). If you want to produce the best quality check the ‘Use Maximum Render Quality’ option. When you are sure about your settings, click ‘Export’. Then the rendering process will run. Wait for 100%. 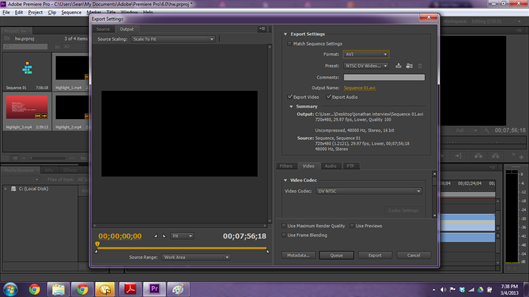 Well, that’s the short way to use Adobe Premiere CS 6. Now there’s no reason for you to delay learning to edit your own videos. If you are someone who wants to learn to edit videos / movies, or you want to become an editor without having to go to college / courses or take training that costs money, here I will give you tips that you can follow to learn quickly to be able to edit videos. Shortcuts are shortcuts to doing things. For example, if you want to change the tool, you can simply press one of the letters on the keyboard without having to look in the menu or pallet tool. A professional editor, they always adjust / custom shortcuts by changing according to their wishes, how often they use the tool and mostly adapted to shortcuts that are also used for other software. There are dozens or even hundreds of video editing software. 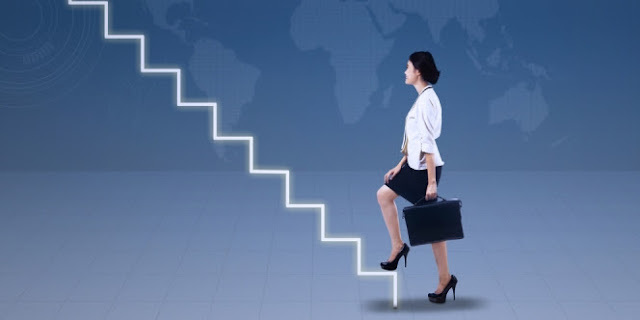 It depends on your needs, whether you are a beginner, intermediate, professional or further level. Every software has its own advantages and disadvantages, but returns to your needs and user friendliness towards the software. with you choosing the preferred software, you can easily understand the ins and outs of software such as where to file cache, custom workspace, custom shortcuts, software properties and others. This is the basis of knowledge that must be understood. When you edit a project, you must know what format the material you are going to edit and what the final format will be given to the client / tv station. This is to shorten the time and avoid accumulating material in the hard drive. Because each TV station requires a different format for playback on air. Broadly speaking “format” is the type of video [mov, avi, mts, m2t, mpg, mp4 and others]. While the codec is also called a compressor which is the player engine of the video [Apple prores, animation, xdcam, dv pal, mpeg imx, h264 and others]. Codecs can affect the size / size of a file. Today many editors or coaches share ways to edit on youtube. You can freely see and get the knowledge of editing. It must be understood that, everyone has their own way, both in terms of feeling or technical, then you have to adjust to your way. This is the most effective way to learn to edit. Apprenticeship or become an assistant, besides being able to study, you might even get a little money. But don’t think of money first. Here your orientation is not work but for learning. If you think of money, I guarantee you will be forever stupid, because you feel that this way you have earned money. Focus on learning, obey the editor’s request, don’t deny or fight if told, because the editor gives you knowledge that you can use. If possible, don’t just be an assistant editor, find another editor. Because usually the knowledge you get will be different, you just need to adjust and choose your own way, which is better. I have discussed the responsibilities as an assistant editor here. Furthermore, to speed up learning to edit you must be gradual. That is, you have to learn it from the beginning, because otherwise you will be confused if you encounter problems that you did not know before. then adds responsibility. If you are an assistant who is only told to roughcut, start by asking your editor for permission to add to your responsibilities. Like for example you start to determine a good shoot choice, give effect, add music or something else. Your editor won’t mind, even prefers, as long as you back up the sequence first, because if the editor doesn’t like what you do, he can unpack it. Don’t be lazy to learn, don’t think of rewards, but think about the knowledge you can get to make money and work.